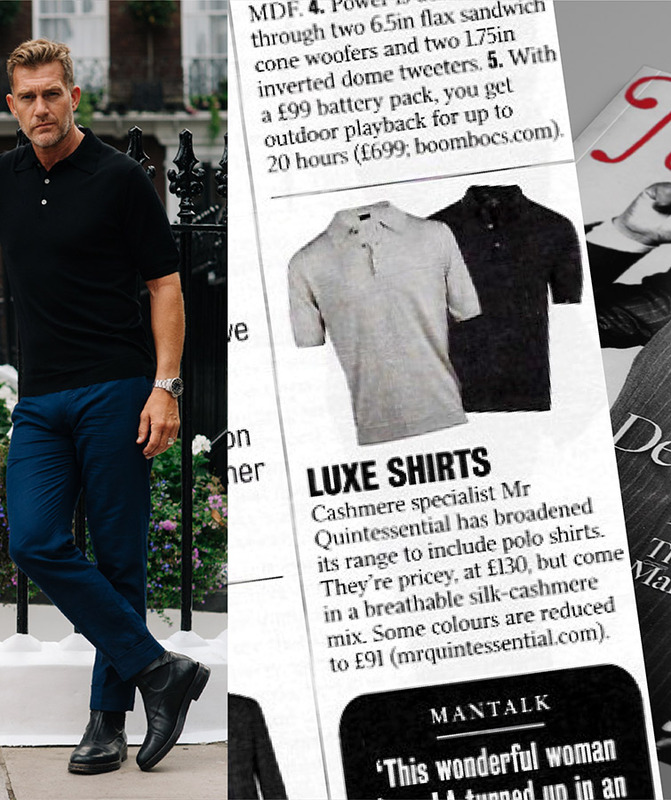 The Shoal Silk Blend Polo, as featured in The Times Magazine. A summer must have. Cool, tactile, and elegant.